Can be a very loud instrument! 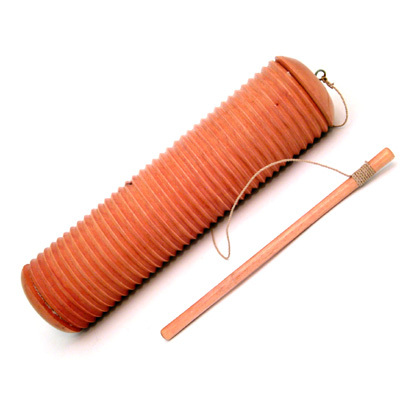 A very high quality wooden Guiro shaker from Indonesia. Length: 28 cm, Diameter: 7 cm.